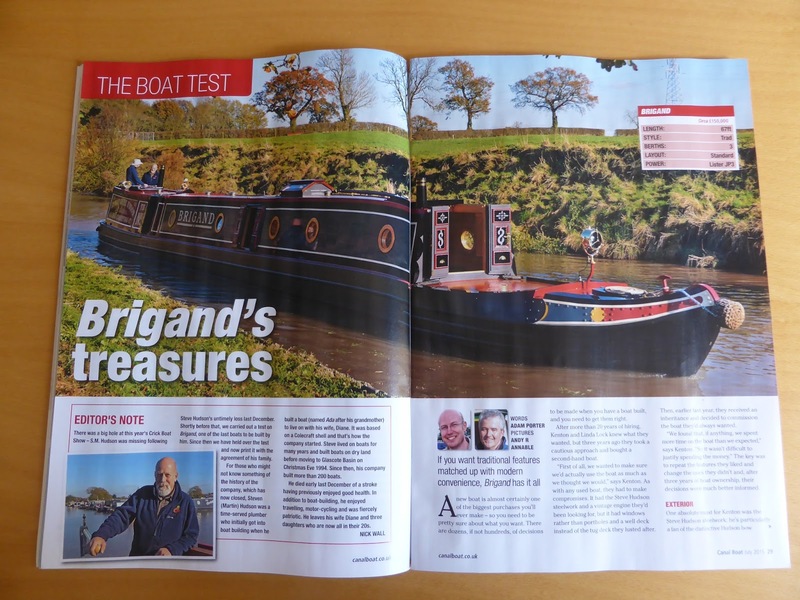 The July issue of Canal Boat is out, and includes my boat test on Brigand, one of the last Hudson boats to be completed. 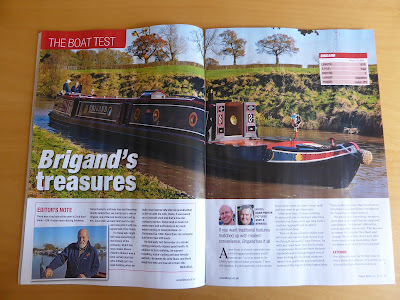 We did the test back in November, just a few weeks before Steve Hudson died. The editor has been talking to his family about publishing it, and there's an editor's note at the start, explaining the situation. The test is published just as it was written, except for one or two changes of tense.